Home > Release Dates > E3 2017: Ni No Kuni 2 is happening this year, rejoice! E3 2017: Ni No Kuni 2 is happening this year, rejoice! Ni No Kuni was one very special game. Developed in a partnership between Studio Ghibli (as in the people that made Spirited Away and My Neighbor Totoro) and Level-5, it was a beautiful, heartfelt, and rich monster-collecting JRPG with a great personality and soul. Related reading: Matt's review of the original Ni No Kuni. Ni No Kuni 2 is different in that Studio Ghibli has nothing to do with this one, though the heritage remains, and Level-5 is a reliable develop at all times. We've been waiting for this one with baited breath since it was first announced, and now we have a release date! The game lands on November 10, on both PC and PlayStation 4. Why the game doesn't have the direct influence of Studio Ghibli, it does have the talents of Ghibli artists on it. Yoshiyuki Momose, a former Ghibli artist, has been tapped as character designer, and Joe Hisaishi - who has scored more Ghibli soundtracks than anyone can count, has returned from the first game as the music composer. This is especially good news, as the first Ni No Kuni had an incredible soundtrack indeed. 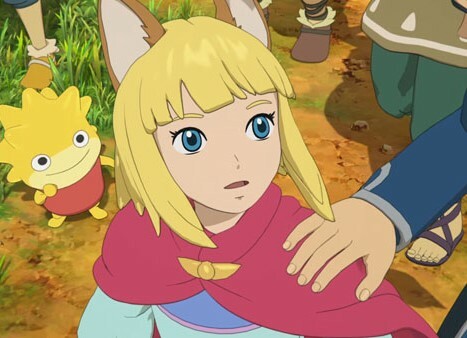 In the world of Ni no Kuni II: REVENANT KINGDOM, players enter the kingdom of Ding Dong Dell, where cats, mice, and humans once lived in harmony. After a treacherous coup, Evan, the boy king of Ding Dong Dell is banished from his kingdom. Ni no Kuni II: REVENANT KINGDOM recounts the story of this deposed king and his journey to build his own kingdom and unite the entire world. Worth looking forward to, right?